If you already own a pool and you need a change for the good, then we have two ways that may suit your needs. Our clients convert their pools either because they want to enhance the landscape and create a more harmonious environment or they just want to get away from swimming in chemically treated water. The latter option is a relatively straightforward conversion involving the replacement of key elements of the filtration system and sometimes the liner, steps, copings etc. Alternatively we can completely remodel your pool shell to incorporate any number of changes such as aquatic ‘regeneration’ planting areas, decking, rock streams etc. This video demonstrates what is possible by showing a typical conversion example. 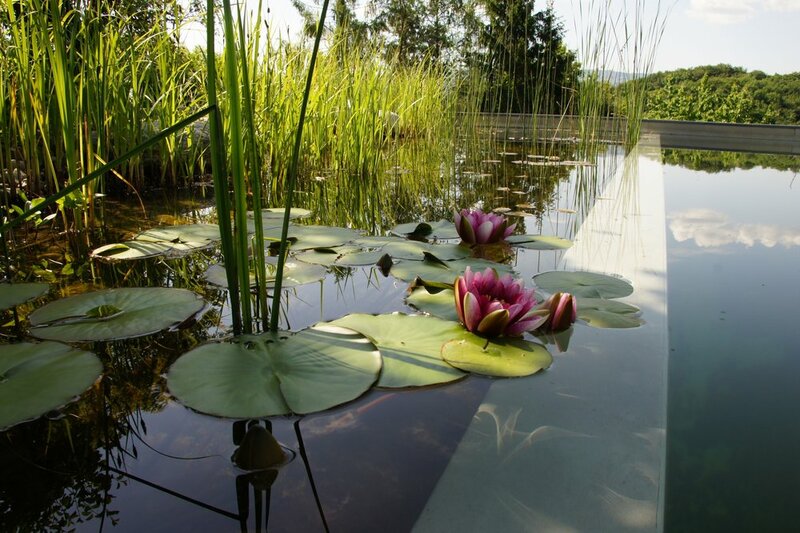 Aquatic plants improve the aesthetics and biodiversity of a pool, more reasons to convert!